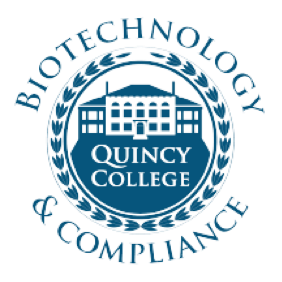 Quincy College Biotechnology and Compliance Program received a $3 Million Round Two TAACCCT grant award to address the need for jobs for displaced workers as well as the Boston area’s growing demand for specialized middle skills technicians. The programs train students in single use systems, or ‘disposable’ systems that are being adopted for use in the biopharmaceutical industry. Disposable systems create manufacturing environments that allow for: 1) faster changeovers; 2) simultaneous, multiple product manufacturing; 3) less risk of product corruption; and 4) a more rapid expansion of manufacturing capacity. Created two academically approved programs: 1) a Certificate in Biotechnology and Compliance and 2) an Associate of Science degree in Biotechnology and Compliance. The programs are unique in that training in traditional manufacturing technology is supplemented with emerging, in-demand, ‘single-use’ technology. Laboratory equipment is state-of-the art and student learning is facilitated through an integration of virtual lab experiences throughout the curriculum..